For the most part, Disney has done a fine job cranking out enjoyable video games for smartphones and tablets. It's been so good, that we eagerly anticipate new releases. 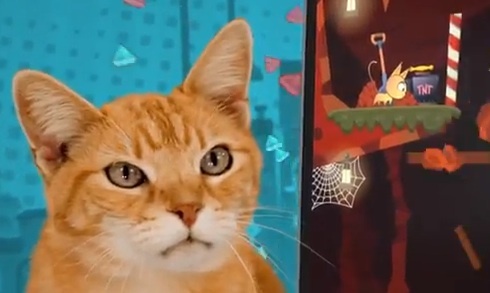 That said, we look forward to playing Mittens, an upcoming smartphone and tablet game starring, as the title clearly implies, a cat. Disney hasn't said much about Mittens, so all we have to go on is the teaser trailer, which you'll find below. Is it a physics-based puzzle game? What about a Sonic style platformer? It's all guessing at this point, but hey, the video should definitely appeal to everyone's inner crazy cat lady.